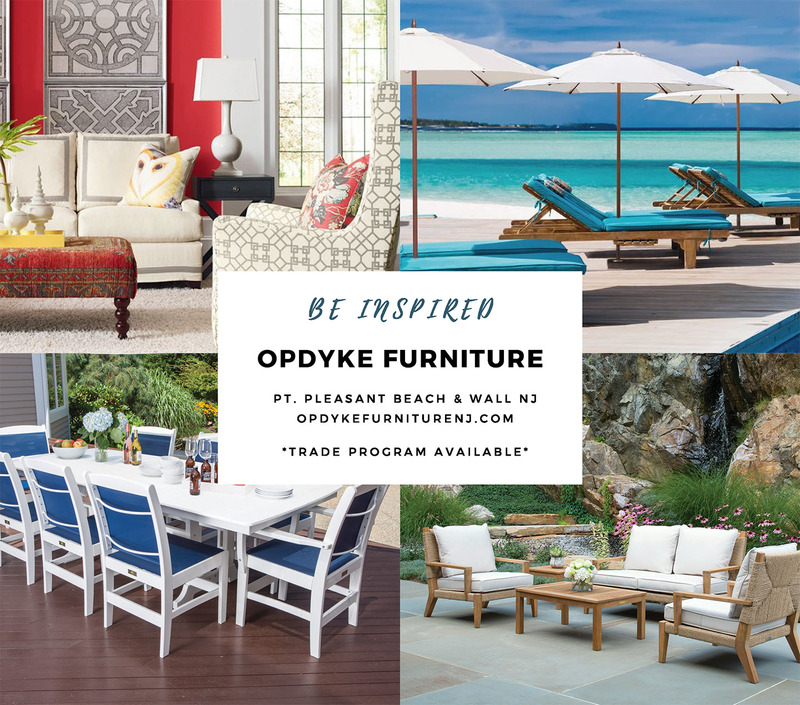 Opdyke Furniture carries high-quality indoor and outdoor furniture available to our customers in the tri-state area. We’re family-owned and -operated. In fact, we’ve been a mainstay in New Jersey since 1948! We wouldn’t have remained in business for over 70 years if we hadn’t built trust and relationships with our community. We’re committed to furnishing our customer’s homes and patios with high-quality merchandise and incomparable customer service. From upholstered to slipcovered, contemporary to antique-style, we have the perfect sofa for you. Our couches are built to last. From beach-side style wicker to elegant upholstery, our sitting chairs are beautiful to look at and comfortable to sit in. Eat breakfast under the beautiful morning sun on our wide array of patio furniture. We have many styles to choose from, so don’t worry about finding the right fit. Create your shade with our large selection of outdoor umbrellas. From cantilevers to 7’ market umbrellas, enjoy the outdoors while being shaded from the blazing summer sun. We sell toss pillows, art, glassware, area rugs, lamps, and much more at our two showrooms. We’re always offering featured savings. From coaches and love seats, to outdoor wood chairs and umbrellas, we want to help you spruce up your home and entertain company. For more information, feel free to contact us today. Wonderful place to purchase patio items, and at this time of year, holiday decor for the home. A must do destination! Love this store especially their Christmas Wonderland. Staff is so friendly...especially Lauren. Large selection and a lot of beautiful and original things for your home. Went inside to look at the Christmas Decorations. Beautiful inside and well worth the visit. © 2019 Opdyke Furniture. All Rights Reserved.